Crisp on the outside and chewy in the middle, classic coconut macaroons just so happen to be naturally gluten-free and Paleo-friendly. 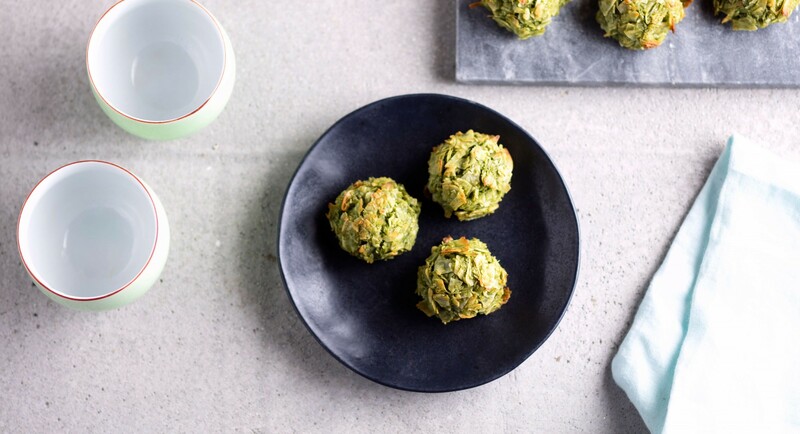 For a fun twist, stir some earthy matcha powder into the batter—not only does it balance out the delicate sweetness of the cookies, but it also turns them a lovely shade of light green. In a medium bowl, whisk together egg whites and honey until whites are foamy. Whisk in salt and vanilla extract, then stir in coconut chips and matcha powder. Cover bowl and place in fridge to chill for 30 minutes to an hour. Scoop out 2 tablespoons of batter and compact into a firm ball. Place on baking sheet and repeat with rest of batter. Bake for 10 to 12 minutes until slightly golden. Cool completely on baking sheet before serving.